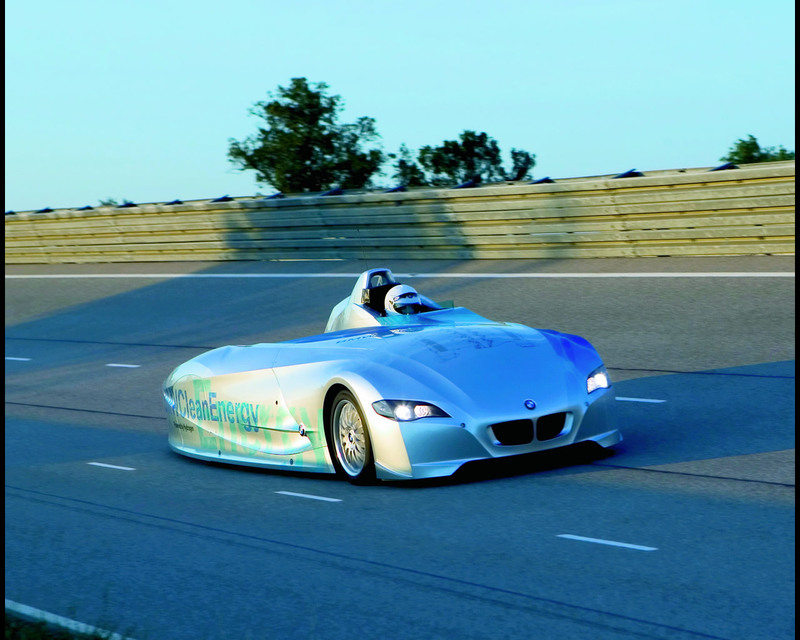 The BMW H2R is a Record car developed as a test bed for the forthcoming hydrogen powered 7 series as it pushed the envelope of what had previously been thought possible with such a dual fuel vehicule (hydrogen or gasoline). 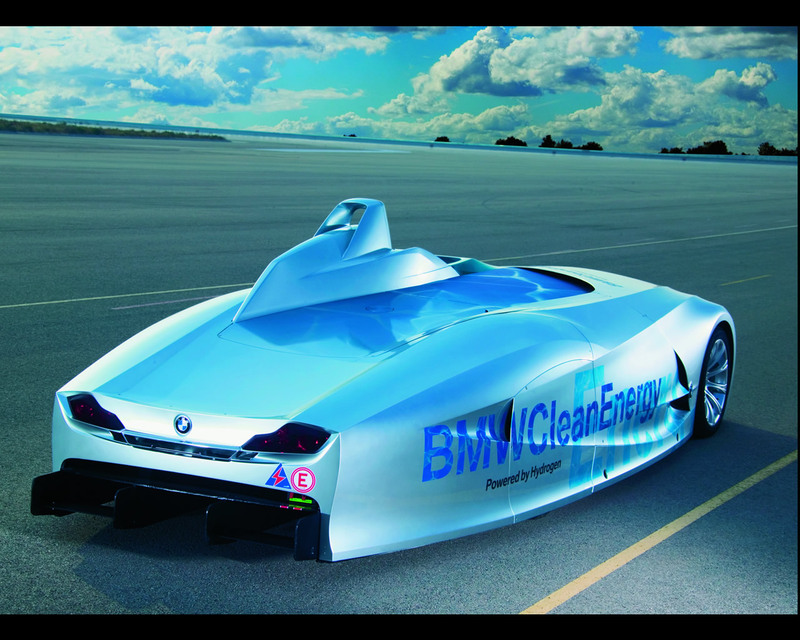 BMW has been examining the possible use of hydrogen powered vehicules since 1978. 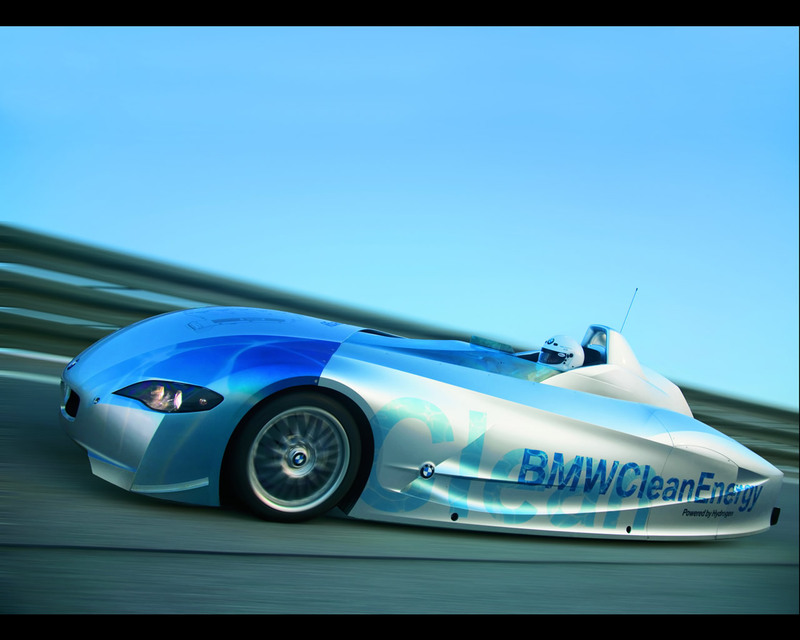 In 2001 BMW started the CleanEnergy WorldTour aimed at raising awareness of the technology. Some significant changes had to be made to the 6,0 littre 12 cylinder engine in the standard 760i to make hydrogen power viable. Unlike the gasoline engine where fuel is injected directly into the combustion chambers, the injection valves are integrated into the inlet manifolds. 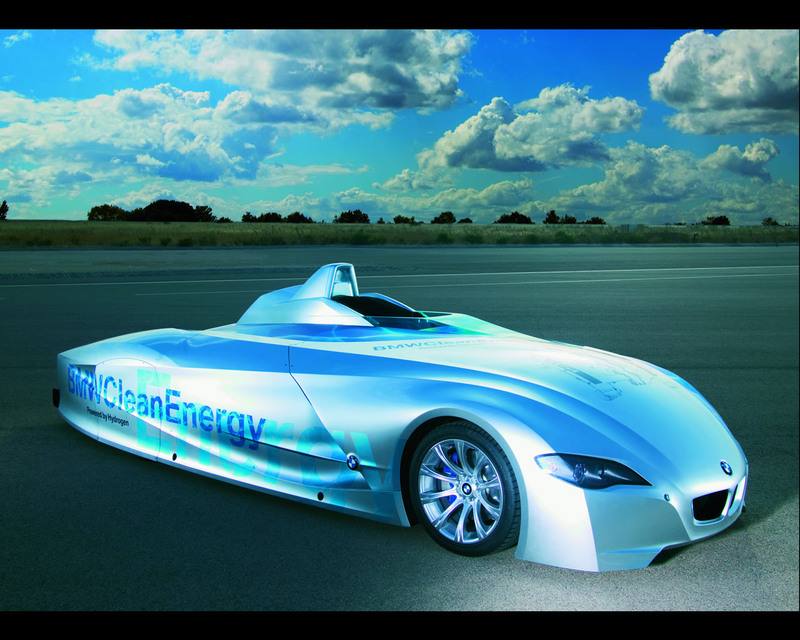 The different combustion characteristics of a hydrogen powered car demanded this, along with special valves. 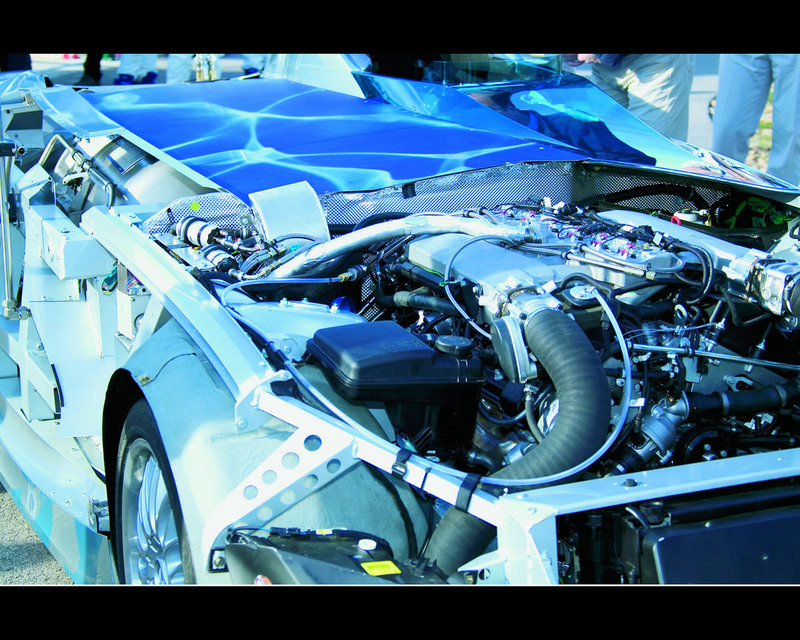 An air cooling process for each cylinder, designed to prevent next injection of hydrogen/air mix from igniting too soon in the combustion chamber process (because of the higher temperature generated by burning hydrogen) was also devised. To aid this complex breathing process, BMW Bi-VANOS and VALVATRONIC units ensured the optimum timing process of the engine for the greatest efficiency. 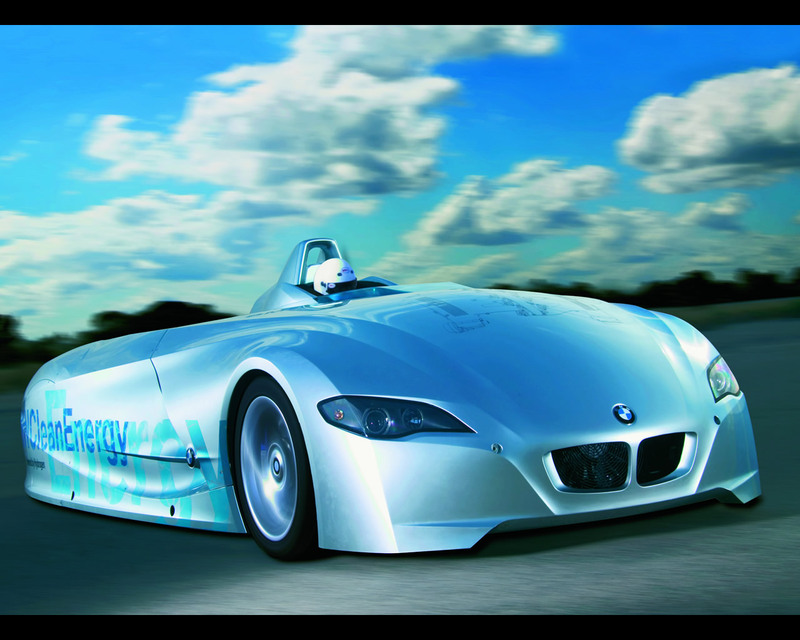 The engine technology in the H2R Record car enables delivery of 232 hp and a zero to 100 kph (62 mph) time of six seconds with a top speed of 302,4 kph (185,52 mph).